When a senator's daughter is killed in a triple homicide the FBI is dispatched to a small backwater town riddled with corruption and dirty dealings. As the agents begin to dig thing quickly go sideways leaving them to wonder if they are in over their heads. 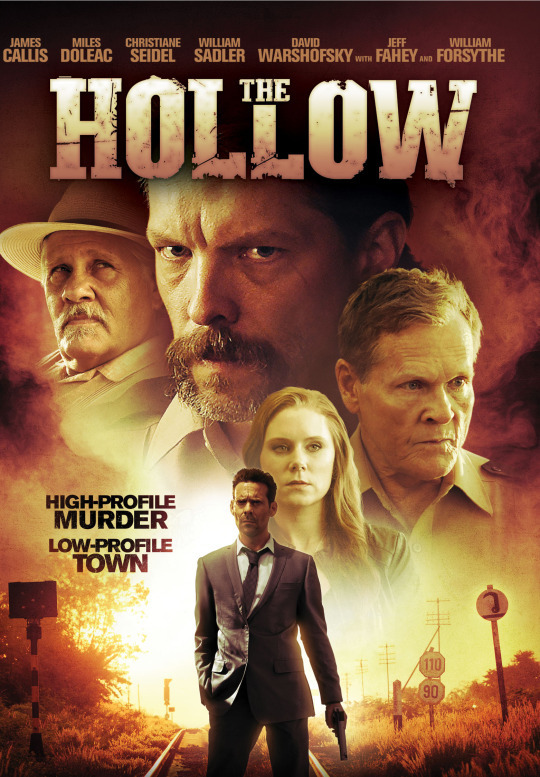 If you can for give the film's over length which results in a few draggy spots THE HOLLOW is a very good B thriller. Bouyed by a killer cast of character actors including William Forsythe, William Sadler , James Calis, Jeff Fahey and Christine Seidel this film makes a case for the continued health of the neo-noir genre. I really liked this film a great deal. Its a solid little thriller. My sole complaint with the film is that it's 128 minute run time is a bit more than the plot can support and there are a couple of places where things dragged. Its not fatal, especially when the film hooks you early and forces to remain seated until the very end because you just have to see how it all plays out.